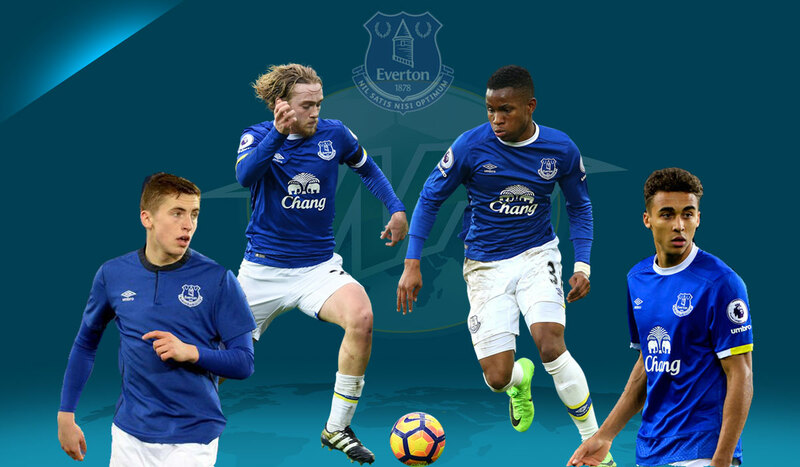 Everton's Youth & Transfer Policies Begin to Bear Fruit - Can They Reach The Next Level? The large Everton presence in England’s U20 World Cup winning side was no coincidence. Since the arrival of Steve Walsh as director of football, one of the club’s transfer policies has been to sign the best homegrown talent from clubs below them in the pecking order, and the results are beginning to show. The Toffees’ unique standing in the English Premier League sees them as one of the only sides who aren’t expected to finish in the top four, but neither are they expected to be drawn into a relegation battle. Maybe Stoke City and Southampton would like to challenge this idea, but Everton could be the only club of their type in the league, operating in a secondary tier all by themselves. The downside of this is that it’s difficult to set attractive targets, especially when it comes to pleasing their army of passionate fans, but with new owner Farhad Moshiri on board, and Walsh — the man whose recruitment helped Leicester City to a Premier League title — directing football, aiming for the top four shouldn’t be out of the question. The upside of their position is that they can cherrypick the best players from this secondary level in the transfer market: players who know they might not get first team football at one of the so-called “big six”, but believe they’re too good for a potential relegation struggle. The director of football is key to this, but so too is manager Ronald Koeman, who has to be on the same page as his recruitment team, as well as giving these players the first-team football they seek. 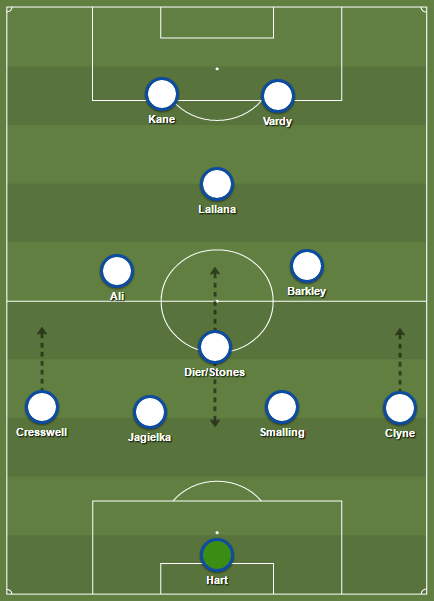 At Leicester, Walsh’s strength was finding players to fit the specific roles the team needed in order to compete at the top level. Rather than signing supposedly good players just because they were available, he analysed his own squad and identified the exact attributes needed to fill certain roles and holes. He then signed players who matched that profile, whether they be from then non-league Fleetwood Town (Jamie Vardy) or Le Havre in France’s Ligue 2 (Riyad Mahrez). Idrissa Gana Gueye was identified as having a similar profile to that of another of Walsh’s success stories, N’Golo Kante, while Ashley Williams fit the mould for a much needed new centre back. In addition these savvy signings, the club’s youth policy began to bear fruit, which complemented the rest of their recruitment. “Everton have a new scouting regime and Steve Walsh, the director of football, has tasked his scouts with identifying the five best youngsters as he looks to build for the future,” wrote The Times’ Paul Joyce, as they completed the £11 million signing of Ademola Lookman from Charlton Athletic in December 2016. Lookman joined Dominic Calvert-Lewin, who had arrived from Sheffield United for a reported £1.5 million in August of the same year, and the pair were regular threats up front in this summer’s U20 World Cup winning side in South Korea. While the newly-recruited pair helped to boost the home-grown youth ranks at the club’s Finch Farm training ground, perhaps the most impressive of the Everton contingent in the U20 tournament were the players from the Liverpool area who’ve been at the club since an early age. Callum Connolly from Litherland, Kirkdale-born Jonjoe Kenny, and Kieran Dowell from the nearby Lancashire village of Aughton played their parts in the international triumph. Kenny was the pick of the tournament’s right backs and looks ready for first team football, even ahead of Mason Holgate who is currently on international duty himself with the England U21s in Poland. Dowell was a regular in midfield alongside Josh Onomah and Lewis Cook, and the trio complimented each other well. Roberto Martinez gave Dowell his Everton debut back in December 2014 against FK Krasnodar in the Europa League. “He is a player that appreciates the space, enjoys being in between the lines and his technical ability is a natural gift. That’s something that we need to use,” said Martinez at the time. He’s made just one senior appearance since, but 2017/18 could be the time for him to join his friend Tom Davies in an Everton starting eleven. Connolly, meanwhile, will have been disappointed to have missed out on the latter stages of the competition, but the versatile right-footer played a couple of games at left back in the group stages. This versatility could be key as he seeks chances in the first team. During his time on loan at Wigan he played both right back and centre back, before adding these games at left back to his CV while over in East Asia. The aforementioned Davies provides hope for all of Everton’s young Englishmen — Scouse or otherwise — that there will be chances in the first team under the current regime. The Liverpool-born midfielder resembles his uncle, Alan Whittle, who came through the ranks at Goodison Park before going on to make more than 100 appearances for Crystal Palace. The unkempt Davies has earned the right to wear his socks low and his hair straggly thanks to a series of performances in which he outshone some of the Premier League’s best in the middle of the park. His former teammates in the academy will be looking to follow in his nimble footsteps. While talent will be plucked from far and wide as the club’s new owners begin to flex their financial muscle, it’s telling that one of their first big money signings was promising English goalkeeper Jordan Pickford. The idea of combining local youth products with stars from the world of football should be a successful one if carried out properly and without wasting the young talent they invest in. Everton could almost make an entire team from youth products they’ve given first team appearances to, and the likes of Matthew Pennington, Tyias Browning, Brendan Galloway and Ross Barkley haven’t even had a mention yet. Good money, good scouting, a productive academy, and a club willing to give youth a chance: if this clicks, Everton could move up from their lonely place in the Premier League’s second tier and start challenging for the top four. Going in the other direction doesn’t bear thinking about, especially with a move to a new stadium on the horizon, almost literally. But if their ambitions match their manager’s and those of the players who just tasted World Cup glory, they’ll be moving in more ways than one.